Since its creation in 1892 the minute repeater has been considered one of the finest mechanisms in watchmaking. Of all the watchmakers making minute repeaters, one company stands alone in attention to detail and precision. 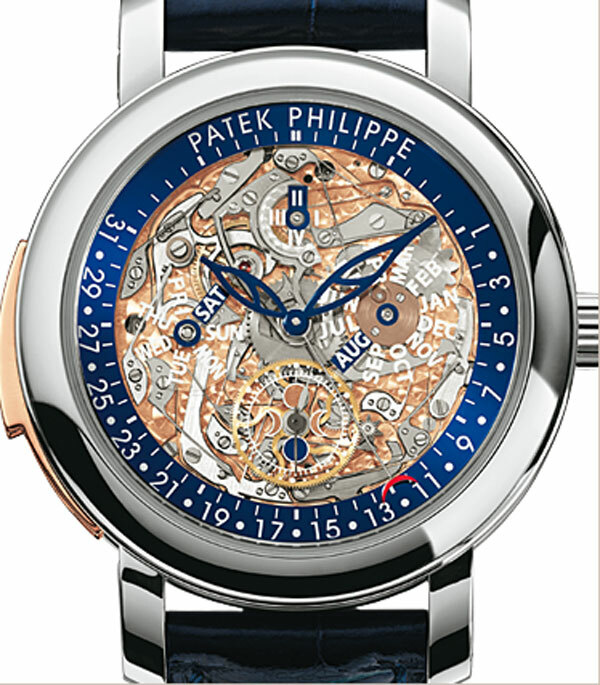 Patek Philippe, a Genevan watchmaking company, makes some of the finest minute repeaters in the world. Recently, Thierry Stern, president of Patek Philippe sat down for an interview to explain how a minute repeater works and how he and his family have produced some of the finest minute repeaters that the watchmaking world has seen. The first step to appreciating the minute repeater is understanding how this complex piece works. A minute repeater is a complication that chimes the time on command -down to the minute- using three separate tones. Steel hammers located within the mechanism strike a small bell or metal hoop, producing low, sequence, and high tones to indicate the hour, quarter hour, and minutes past the quarter hour. For example, if the time was 4:32, the minute repeater would chime 4 low tones, 2 sequence tones, and 2 high tones. Over 100 pieces are used to create the minute repeater mechanism, all fitted expertly within the case of the timepiece. A minute repeater takes between 200 and 300 hours of hand-crafting to create, and this can only be done by an expert watchmaker. The following video shows the minute repeater movement of several different Patek Philippe timepieces. And experience is certainly something Stern has. He is the fourth generation president of Patek Philippe, a company which has been owned by his family for over 150 years. Since childhood, Stern has been involved in the watchmaking process. When asked what his earliest memory of a minute repeater was, he recalled when his father was home, listening to the sound of the chime. “I think it was at home. It was one of the first minute repeaters, actually, that we had. I do not remember the reference, I was too young at the time, but I remember very well the way that he was listening to it. And to be very frank, it’s funny, because it was exactly the same way as I am listening to it now,” said Stern. To hear more of the Thierry Stern interview and to learn more about the minute repeater, visit www.patek-institutional.com. The 2012 series took place from October 5th – 9th. The auction featured works from China’s top artists, who feature contemporary, modern and traditional Chinese art. The auction also featured many other items, including jewelry, watches and wines. According to reports, the Sotheby’s Hong Kong watches Autumn sale of 2012 garnered over 15 million USD, which is the highest total sale for watches at Sotheby’s worldwide. The auction has a history of collectors pushing sales far above the estimates and expectations initially set, which is evident by the final sale of this auction. The auction has garnered a lot of money in the previous years, which have mainly been dominated by the luxury Swiss brand Patek Philippe. 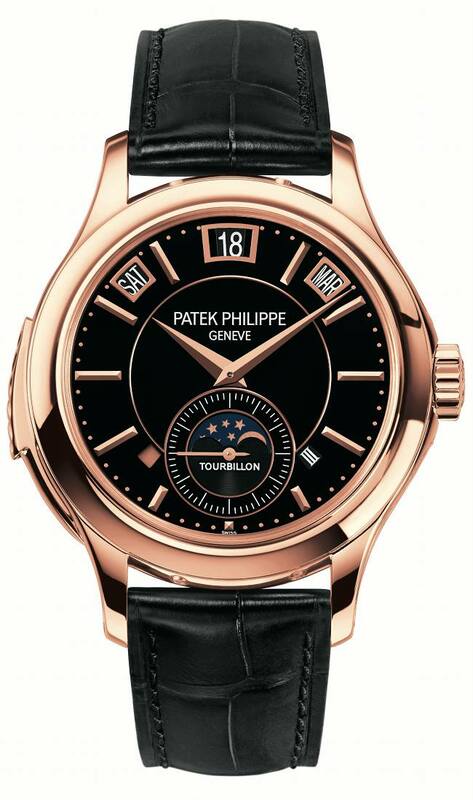 The most expensive watch at this year’s auction was also a Patek Philippe watch, specifically the Sky Moon Tourbillon wrist watch. The watch sold for $1.5 million in Hong Kong in 2008 and expected to garner similar amount or more in 2012. Released in 2001, this watch has only been available to select clients. The model was discontinued in 2011 and the watch at the auction is one of the last ever made. The watch comes in a beautiful platinum and has various complications, including minute repeater, tourbillon, perpetual calendar, retrograde date, sky chart, moon phases, orbit display and side reel time. 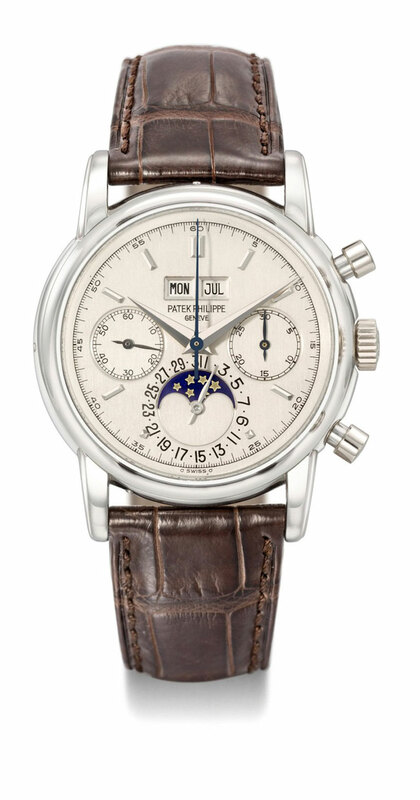 The auction also featured other Patek Philippe watches, including a new example of Patek Philippe minute repeating perpetual calendar wristwatch ref 5104P, which is expected to sell for $510K – $640K. Another timepiece is the ref 5013R Patek Philippe watch, which has the longest-running grand complications and is expected to garner between $300K – $410K. Christie’s of Geneva, the luxury auction house founded in 1766 by James Christie, remains one of the most popular showcase for unique and beautiful pieces. The house has now announced that it will auction 310 exclusive watches on November 12, 2012. The experts have predicted and the auction is expected to bring in an impressive $16 million US dollars. 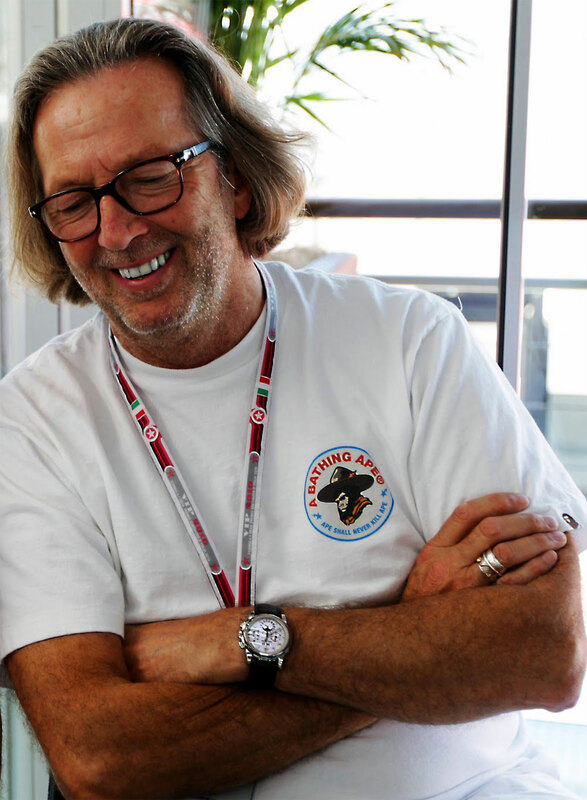 There are a lot of pieces that have generated a lot of buzz in this auction, and none more than the ultra-rare Patek Philippe perpetual calendar chronograph from renowned guitarist and blues rock legend Eric Clapton’s personal collection. The International Head of Christie’s watch department, Aurel Bacs, says that “over the past thirty years a combined total of over two million collector’s watches have changed hands via the international salerooms, leading the worldwide community of scholars, collectors, specialists, museum curators and dealers to form, in an official / unofficial way, a list of the ten most significant wristwatches, in their opinion. To make it onto this `all-star list’ a wristwatch has to standout by its historical importance, mechanical complexity, unmatched beauty, original condition, incredible rarity and superior provenance. This autumn we are proud to offer for sale examples which deserve to be placed on that list.” Clapton’s Patek Philippe perpetual calendar chronograph does indeed meet this criteria. The perpetual calendar model was first launched in 1951. Only two watches with platinum casing have been produced since, one being this Patek Philippe perpetual calendar chronograph being auctioned This piece is expected to be auctioned for somewhere between $2.5 – $4 million Swiss Francs. This Patek Philippe Ref. 2499 is a perfect combination of design and function and is often regarded as one of the best watches in the world. As popular as the watches are however, they are very rare. Some of the watches are often not even intended for sale but as a celebration of the brand and displayed in museums in Geneva. This platinum 2499 watch being auctioned was first put on sale in 1989 when the firm consigned it to the historical “The Art of Patek Philippe” auction as it celebrated its 150th anniversary in Geneva on April 9. The watch is now being sold again over two decades later. This is truly an exclusive and legendary piece. As mentioned above, it is one of only two Patek Philippe 2499 ever made in platinum. The other Patek Philippe watch is in museum in Geneva. The iPhone 5 may not have as many bells and whistles as Apple enthusiasts may have wished, but Patek Philippe’s 5207R-001- Grand Complications watch has enough functions to satisfy even the most technology-hungry watch lover. Featuring a minute repeater, instantaneous perpetual calendar, date, month, and time windows, even moon phase and a day night display, the Grand Complications of Patek Philippe are certainly extensive. The watch even alerts you to leap years. Even more surprising, it has a chime with two gongs on the watch! The minute repeater which creates the chime sounds dates back to the early days of wrist watches. The chimes were to help those workers tell time in the dark—a particularly useful watch for a sailor or policeman covering the night watch or for the visually impaired. Now the repeater is a unique addition to a charming time piece. The minute repeater is a particularly difficult complication to properly engineer, and is widely sought after by collectors. The hand wound movement uses a Caliber RTO 27 PS QI and includes a 48 hour power reserve. The tourbillon within the watch keeps time timepiece incredibly accurate, and adds a little extra something to the watch piece. Tourbillons are making something of a comeback these days, but are still difficult enough to properly execute that it is indeed a mark of excellence to include one in a timepiece—especially a watch as complicate as the Grand Complications. That’s not to say that the watch is all work and no play; with a deep black dial and rose gold case, this watch is as easy on the eyes as its complications are…well, complicate. The relative simplicity of the watch face is a stark contrast to the myriad of operations available on the watch itself. It’s quite a feat that the watch manages to incorporate so many functions into the timepiece without overloading the dial. Instead, the piece looks deceptively simple, but remains a pleasure to read. The hand-stitched alligator strap is comfortable and reinforced for extra wear and tear. The Patek Philippe 5207R-001- Grand Complications watch takes all the fun of multiple functions and has made it stylish to wear. The watch is packed with goodies, but the watch is so effortlessly designed that it doesn’t seem overloaded. This is a fantastic watch with a real flair for unique functions and a true appreciation of the art of watchmaking. Patek Philippe is a Swiss luxury watch manufacturer that was founded in 1851 and has remained popular throughout the years. Its high-end timepieces are known for its innovative movements and high quality. The brand is known for pioneering the chronograph, perpetual calendar, split-seconds hand, and minute repeater in watches. 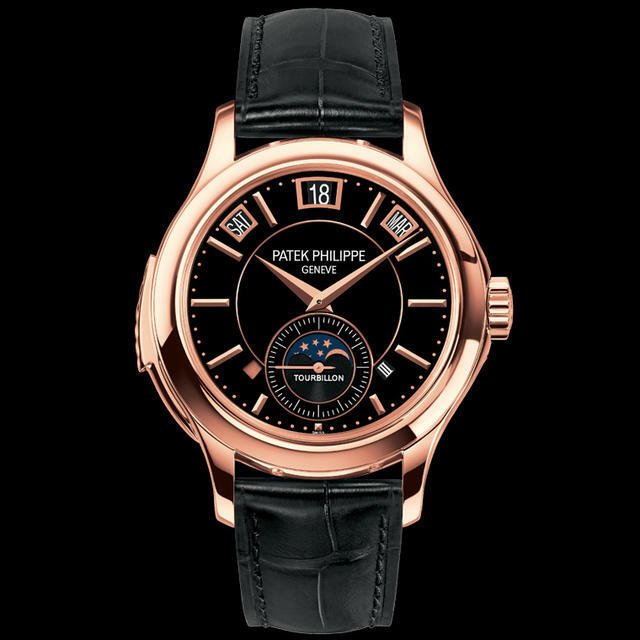 Patek Philippe watches have been seen worn by many famous people around the world and they are always on high demand. The famous people include royalties such as Queen Victoria and Princess Louise of Denmark. Another celebrity known to sport a Patek Philippe watch is Hollywood actor Brad Pitt. Famous actor, who also happens to be watch enthusiast, Brad Pitt recently spent $390,000 on a Patek Philippe watch. 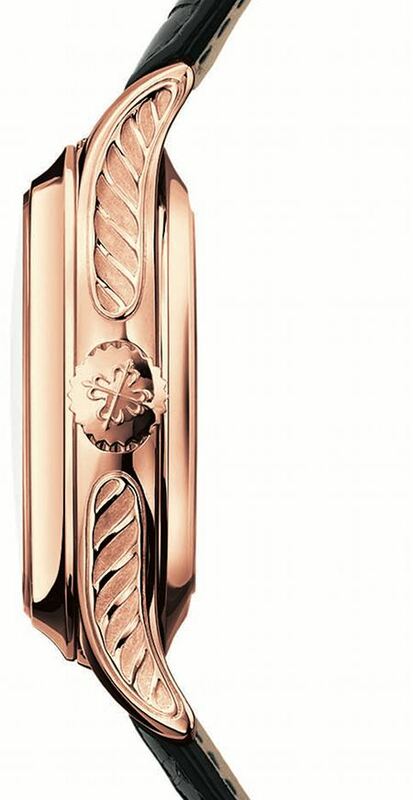 This Patek Philippe Minute Repeater watch is a wedding present for fiance Angelina Jolie. A minute repeater sounds the time to the nearest minute upon demand, which basically allows one to tell time without really looking at the watch. 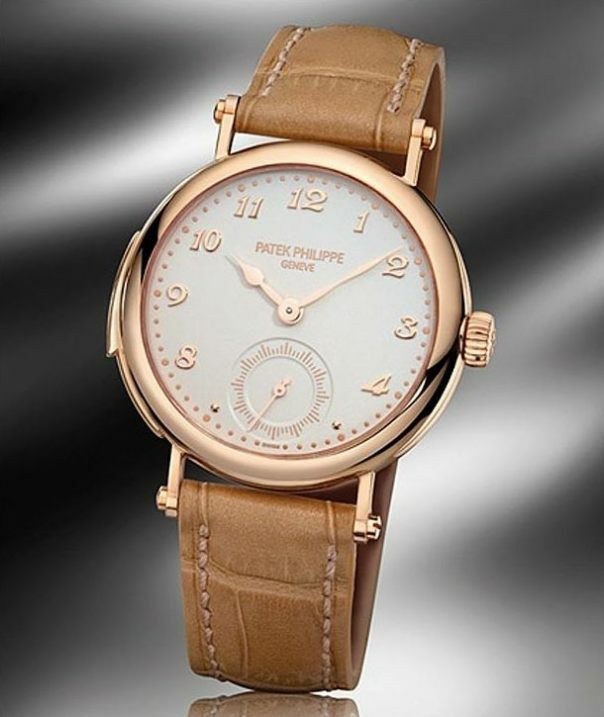 The watch is the only contemporary female minute repeater from Patek Philippe. This custom-made watch took two months to make. The was comes in a 18k gold case that is nicely set off by a mother of pearl dial. Minute Repeaters are often part of large watches, but this specific watch is not because of the caliber it uses. This self-winding caliber R27 PS is one of the thinniest movements available, which allows for a small sized watch. This timepiece is perfect size for female wrists and those that prefer watches that are not bulky. Angelina Jolie is sure to love this watch for years to come.